Injuries caused by fires may be devastating. Smoke inhalation can cause death, producing its effects through thermal injuries to the upper airway, toxicity, irritation to the airways, and exposure to gases. When a doctor examines someone for smoke inhalation, some signs that there may be smoke inhalation include hoarseness, blistering, and upper airway mucosal lesions. In some cases, there is a lower respiratory tract injury that results in wheezing, coughing, rhonchi, and dyspnea, among other symptoms. Studies that doctors may need to diagnose the injury include chest radiography, arterial blood gases, ECG, serial cardiac enzymes, and direct laryngoscopy and fiberoptic bronchoscopy. 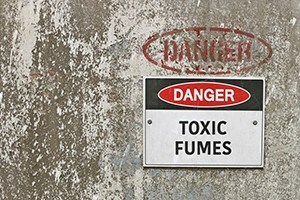 If you suffer smoke inhalation injuries on the job, you may be able to recover benefits. The experienced Boston workers’ compensation lawyers at Pulgini & Norton can guide you through the process. Firemen are at a significantly higher risk of smoke inhalation injuries than many other workers are. However, smoke inhalation injuries are also possible in jobs involving welding, manufacturing, factory production, and oil and gas refineries. The use of complex machinery and equipment can present risks of fire as well as electrocution. In some cases, injuries are minor, but smoke inhalation is the primary cause of death in connection with indoor fires. Workers in jobs where smoke inhalation is a big risk need to take safety precautions. These should be established by workplace policies. However, if you suffer smoke inhalation on the job, in most cases, you should be able to recover workers' compensation benefits even if you were partly or fully to blame for the fire that caused these injuries. The Massachusetts workers' compensation system is a system in which benefits are awarded to workers injured on the job, regardless of fault. It is important to seek immediate medical attention after suffering any sorts of injuries in connection with a fire. Your employer only needs to pay you for the hours you actually worked on the day of the fire. However, if you are paid only for the hours you worked, the first day you are injured is considered the first day of disability. If you were paid for the whole day, the next day is considered the first disability day. Your employer has seven days, not including legal holidays and Sundays, from the fifth disability date to report the injury to its workers' compensation carrier. In other words, you can start to collect disability benefits once you have been unable to earn your full wages for five or more full or partial calendar days, due to a work injury. The insurer has 14 calendar days from receiving the first report of injury to mail you a check or send you a denial. At least 30 calendar days must pass after the first date of disability in order for the Department of Industrial Accidents (DIA) to accept your Employee Claim form. Most employers in Massachusetts must carry workers' compensation insurance. You should not assume that an insurer's denial of your claim is valid. Our Boston workers' compensation attorneys represent people who suffer smoke inhalation injuries on the job. We also help injured individuals in Newton, Waltham, Weymouth, and other Massachusetts cities. Call us at 781-843-2200 or contact us via our online form for a free consultation with a workplace accident attorney.